The Sahara desert is seen creeping up on a palm field. Desertification can be reversed, but it starts with thinking big. I’m always so impressed with people who think big about big problems. Here is a credible idea for keeping the Sahara desert from taking over more of Africa. Is it possible? Don’t know. But thank goodness for scientists who get fired up when they hear that something’s not possible! Dan Charles has a report at National Public Radio (NPR) on how we could reverse desertification. “The Sahara desert is expanding, and has been for at least a century. It’s a phenomenon that seems impossible to stop. “But it hasn’t stopped at least one group of scientists from dreaming of a way to do it. And their proposed solution, a grand scheme that involves covering vast areas of desert with solar panels and windmills, just got published in the prestigious journal Science. “Her academic adviser at MIT, Jule Charney, was among the first to describe the vicious cycle that can lead to desertification. 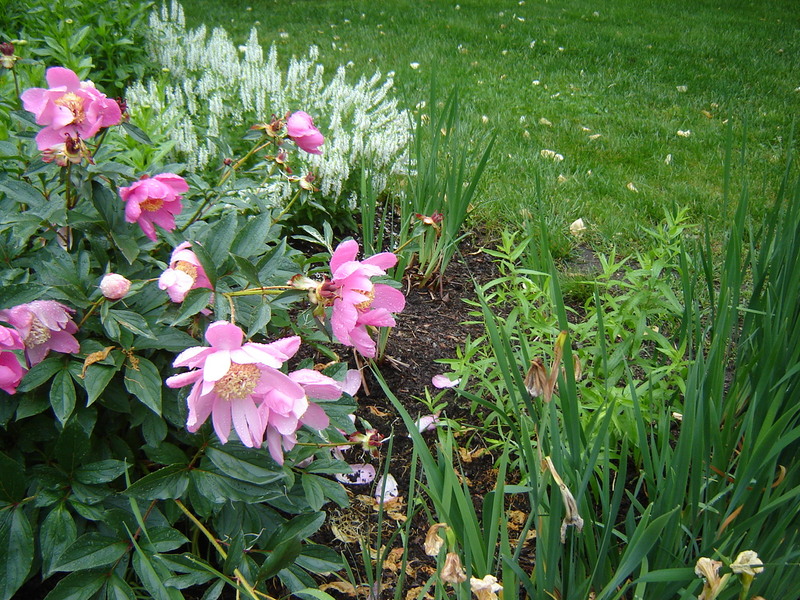 With drought, green vegetation disappears, and the light-colored dirt that remains reflects more of the sun. 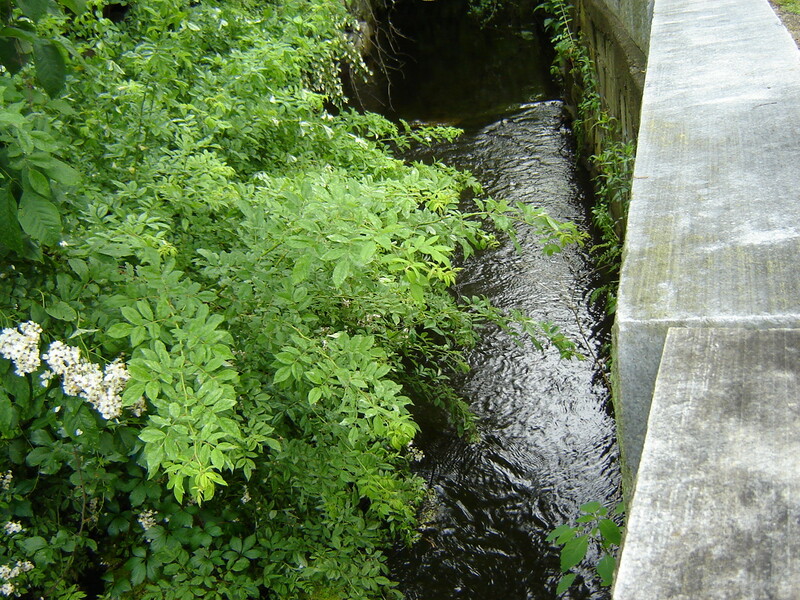 This cools the land surface, which in turn means that there’s less heat driving air upward into higher and cooler levels of the atmosphere – the process that normally produces precipitation. So there’s less rain, killing even more vegetation. “Kalnay wondered if there might be a way to revive those atmospheric currents. 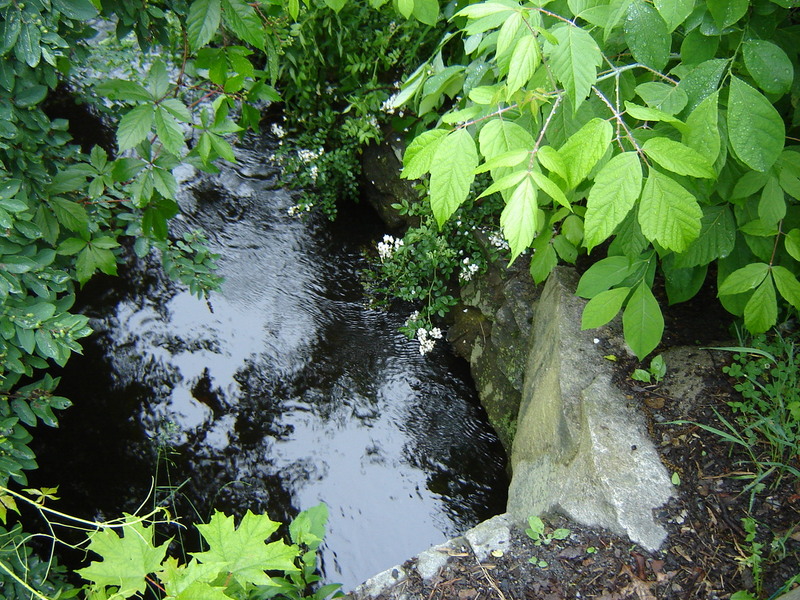 ‘It occurred to me that the same [cycle] would go in the opposite way, so it would increase precipitation, and vegetation, and then more precipitation,’ she says. “And then she thought of solar panels. They’re dark, so they don’t reflect the sun’s light. 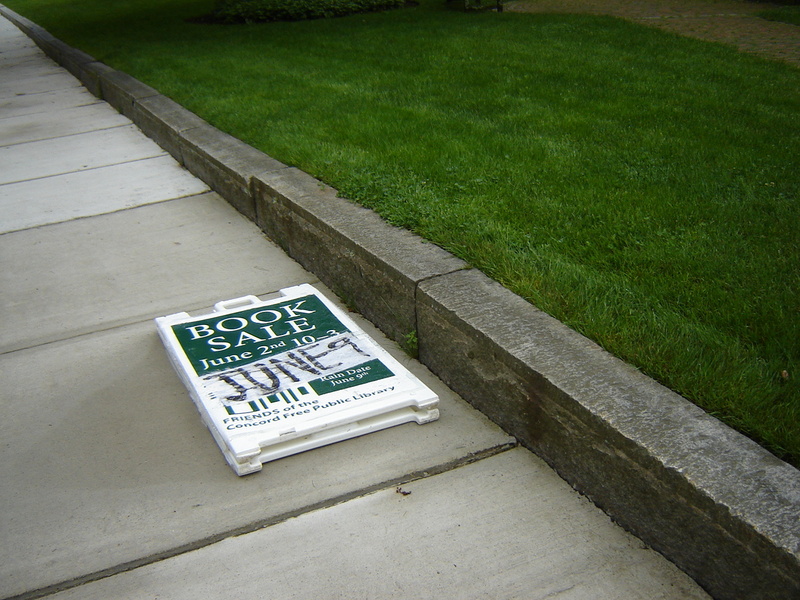 Could they heat up the surface and revive those rain-bringing air currents? “Kalnay convinced one of her post-doc researchers to create a computer simulation of an otherworldly Sahara where 20 percent of the land is covered with solar panels. The computer model also turned the desert into a giant wind farm, covered with turbines. Kalnay thought they might also help boost those beneficial air currents. “She’s used to imagining the workings of the entire planet’s atmosphere. A few billion solar panels and windmills in the desert? No big deal.” More at NPR, here. From left, Daniel Hall, Lori Brown-Niang, Shaina Taub, and Shuler Hensley in “Twelfth Night” at the Public Theater’s Shakespeare in the Park. Brown-Niang’s peignoir is usually “the first to go” on exceptionally hot nights when the feathers start shedding. On this second day of fall in Massachusetts, the temperature was only 45 degrees at 6 a.m., when I wrote this. I felt very glad that 2018’s overpowering heat and humidity were past. I can only imagine what it must have been like for outdoor actors under fierce stage lighting in summer 2018. At American Theatre, there’s a fun article about designing costumes for actors performing in all kinds of weather. “But heat invites more than just exhaustion and sweat; it’s also a magnet for bugs, something that Chen had to account for when creating stage blood for her costumes. “ ‘Shoes are covered with non-slip dance rubber,’ he says. ‘But evening dew can make our outdoor stage slippery, so at APT we add sand to paint’ to give the stage’s surface extra traction. “But a light drizzle doesn’t always signal a costume adjustment, or even a cancelled performance. In fact, its effect—combined with stellar acting, of course—can be as spellbinding as any theatrical flourish, more dazzling than any stage magic. More at American Theatre, here. 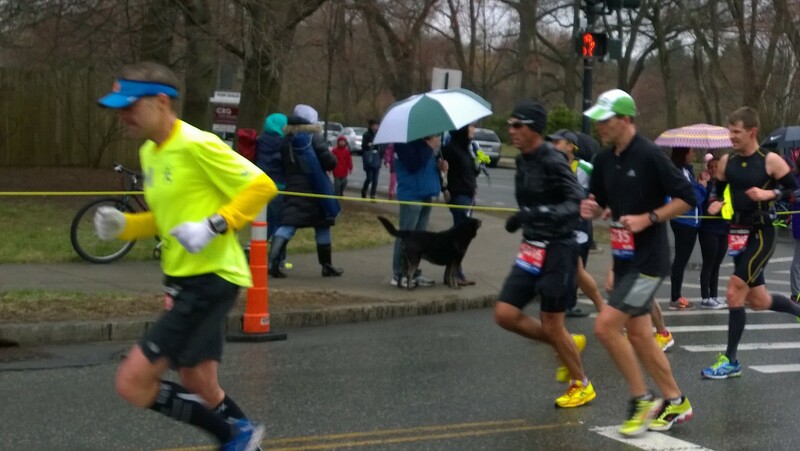 Hours in an icy rain madly cheering family and strangers along with four grandchildren under the age of five. Erik made his best time, coming in under three hours. John looked on the web and found that Erik’s sister was the fourth woman from Denmark to cross the finish line yesterday, and Erik’s cousin was the fourth woman from Sweden. Erik’s mother waved a makeshift Swedish flag, which bled onto everything in the rain but elicited delight from unknown Swedes who also were running in the Boston Marathon. 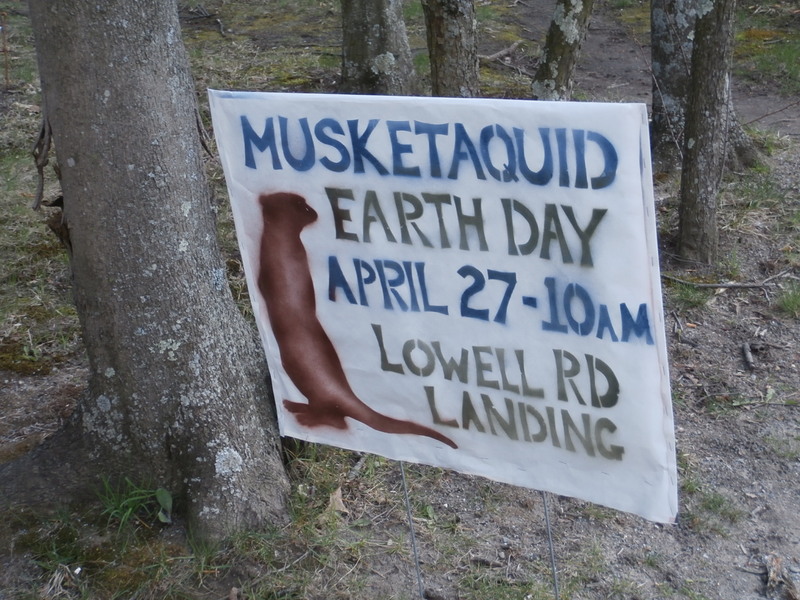 Mile 19 in Newton was our meeting place, next to the hot-dog vendor. Suzanne got stuck on the wrong side, but the police knew this would happen and had little cards already printed out to tell people how to drive to the other side. She got there in time. The day was a grand accomplishment for all concerned, not excluding four cold, soggy, cheering children. 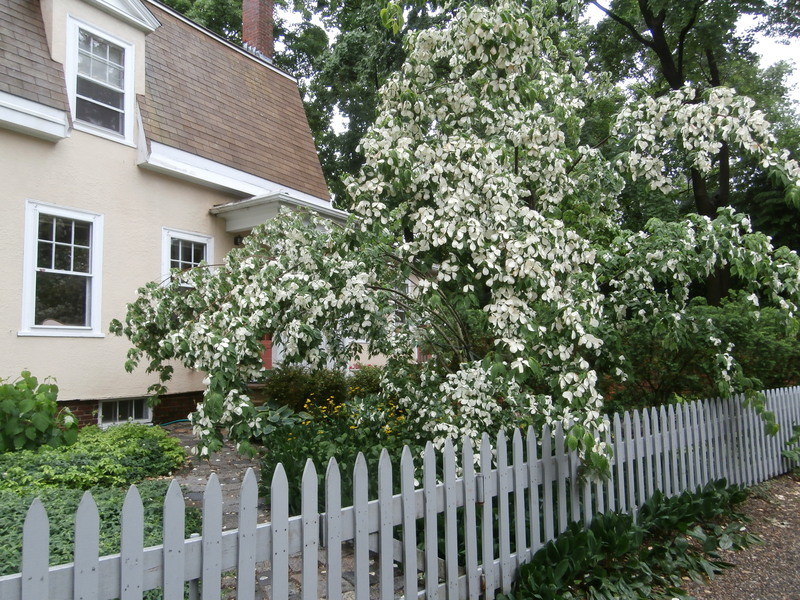 Heavy rain Friday night stunned our dogwood. 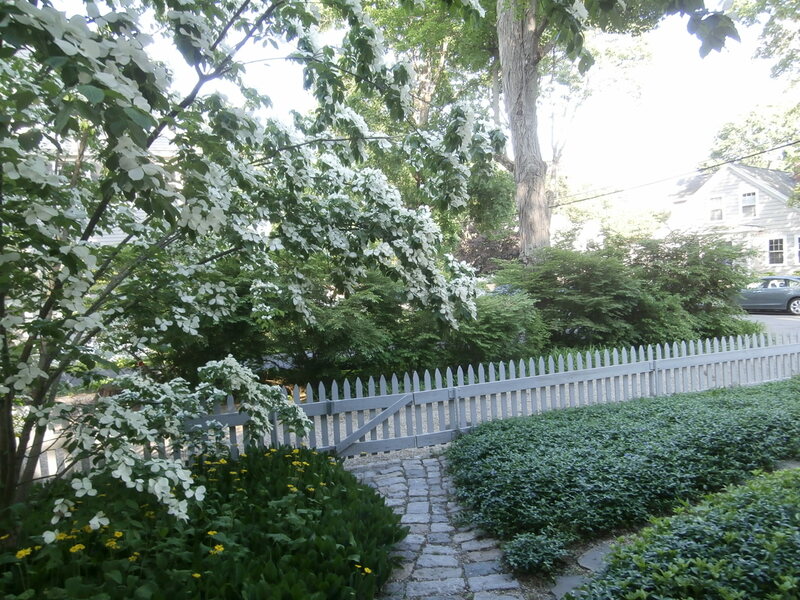 I include before and after, plus a gaggle of other photos from my springtime meanderings. 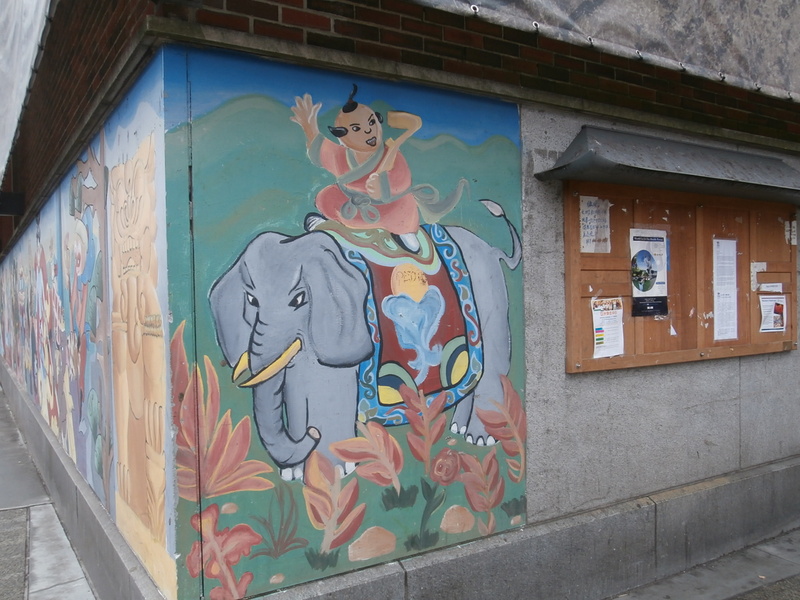 The elephant mural is at the entrance to Boston’s Chinatown. 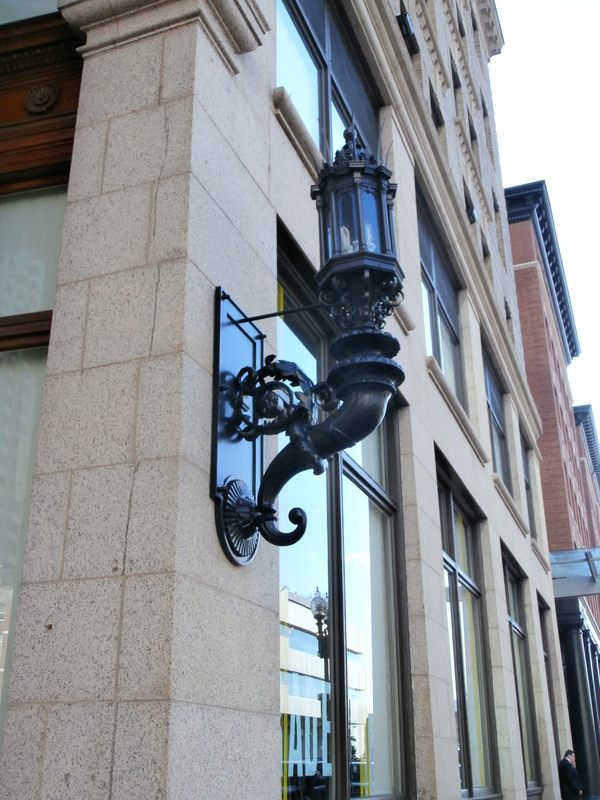 The fancy light fixture is outside Trade restaurant. 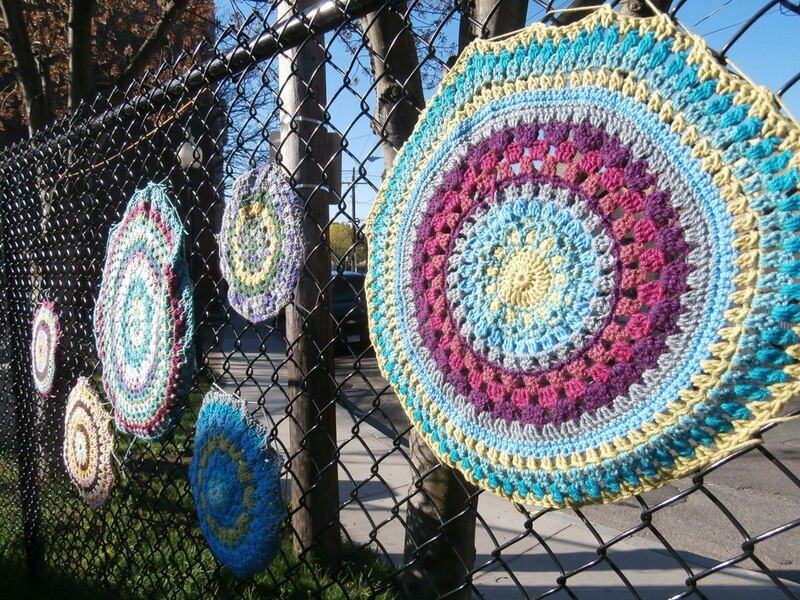 The fence with crocheted wheels is at the Davis Square subway stop. 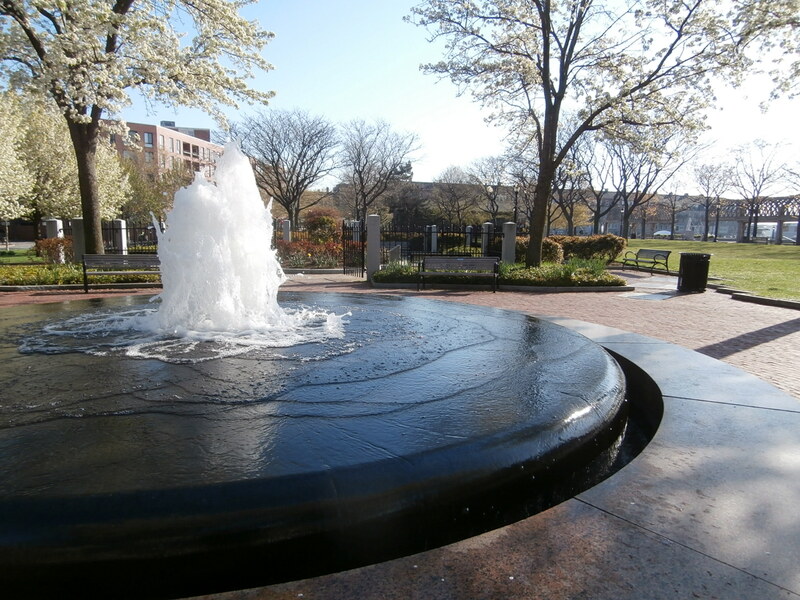 The fountain is next to a rose garden honoring the mother of President Kennedy, Rose. 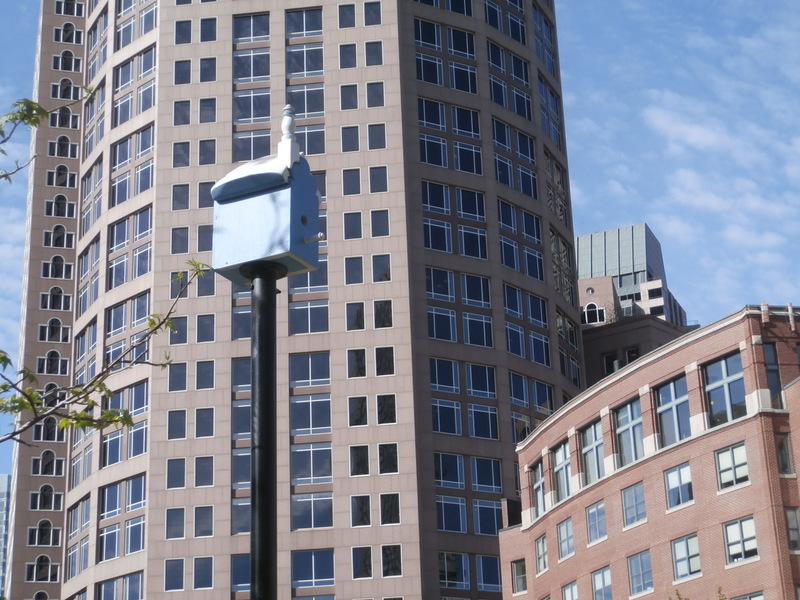 The urban birdhouse is in the Greenway. 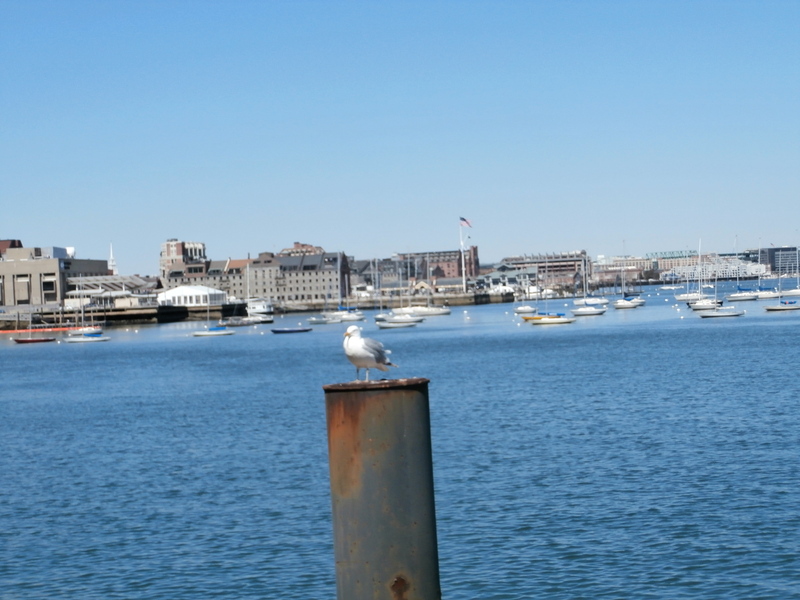 The herring gull is at Boston Harbor. 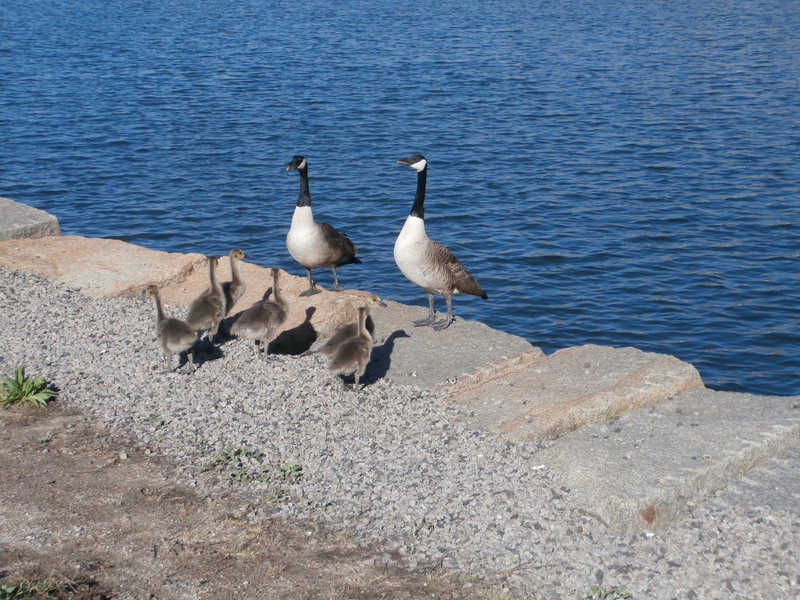 The Canada Geese are too prolific. 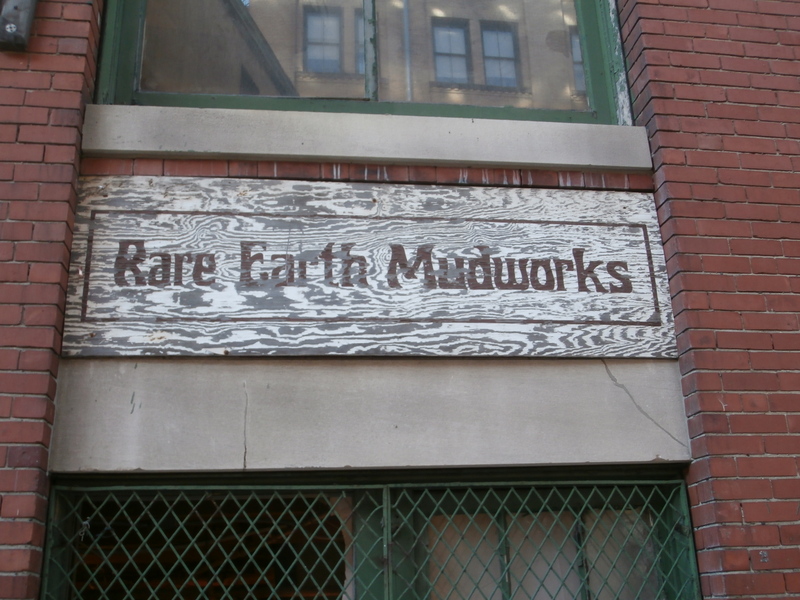 The Mudworks sign is in Fort Point. 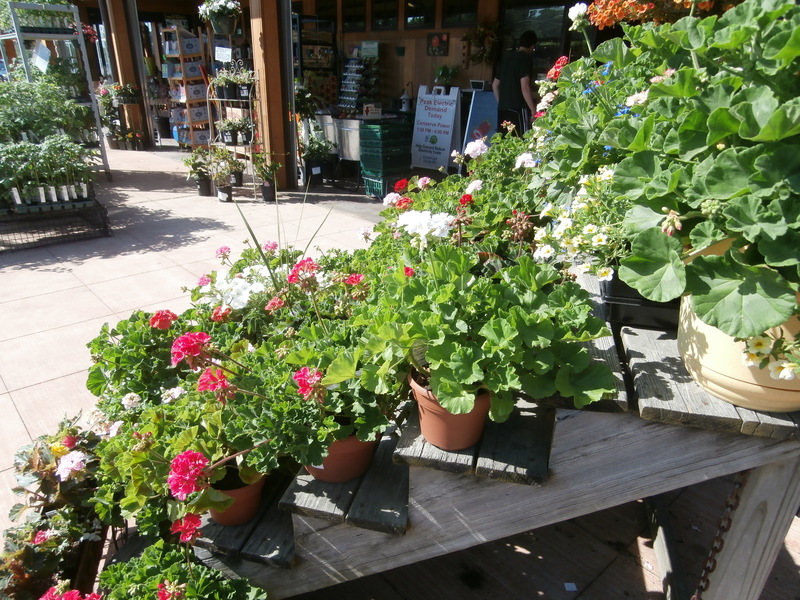 And the flowers are at Verrill Farm. Looking at streams swollen by yesterday’s rain, I began thinking about Scuffy the Tugboat. A farmers market in Providence was undaunted by the rain. 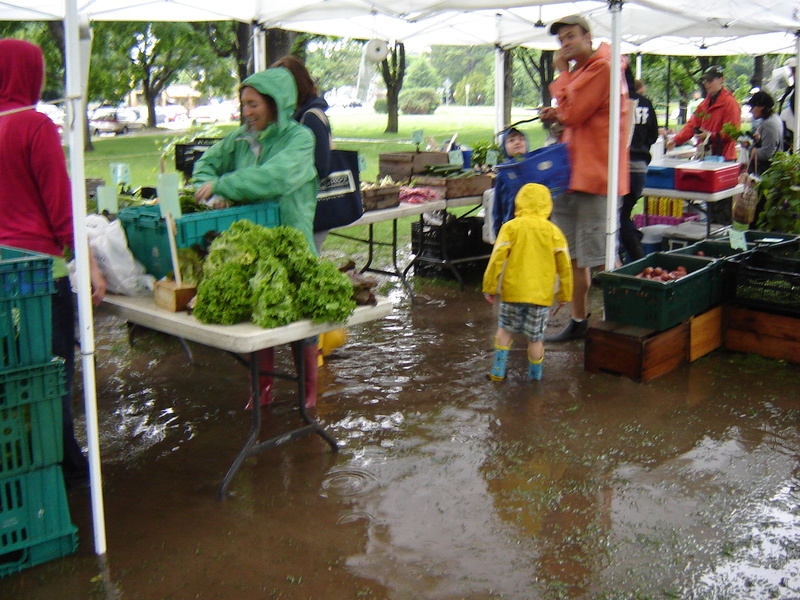 The farmer at the farmstand here joked that the puddle was just a matter of hydroponic gardening. 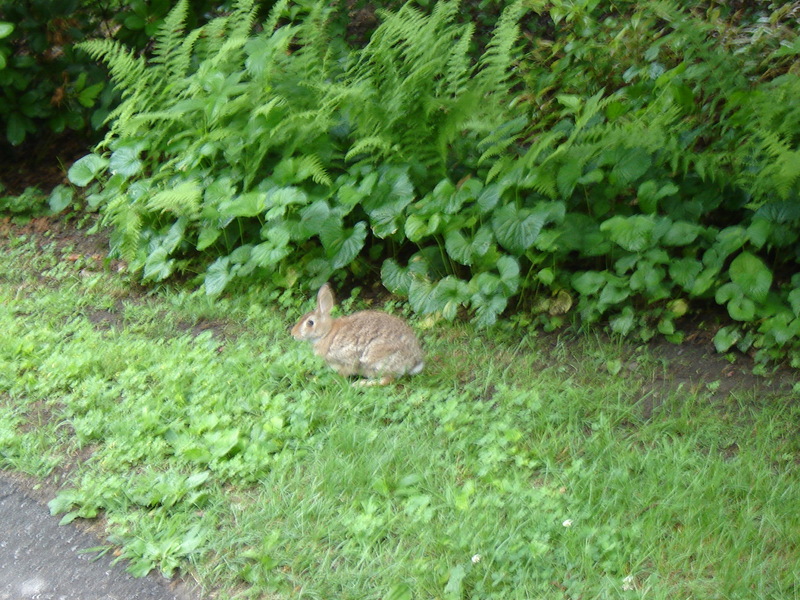 In other photos, I show peonies and a sign buffeted by the storm — and a rabbit too busy foraging to worry about cameras.